Summer is almost over, but weâ€™ve been keeping busy! One of the things we always do is go through our inventory and see what needs fixed, replaced and refreshed. Itâ€™s something everyone on staff can enjoy doing together. And recently, weâ€™ve been working on womenâ€™s hats. 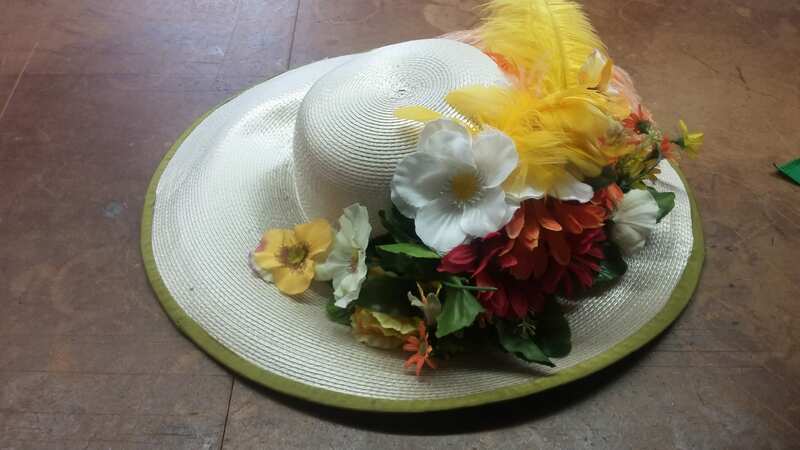 Womenâ€™s hats come in a variety of styles, colors, patterns with all different sorts of garnishes that can include ribbons, bows, buttons, lace, feathers, beads, and a variety of other items. 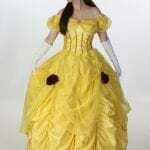 Just the right hat can take a simple dress and make a fabulous costume piece! 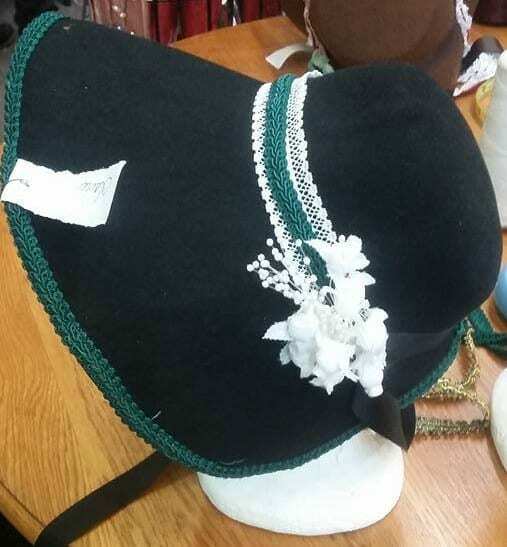 Perhaps just a simple bonnet for your production of Little Women to give it that extra pop. Or a floral accent for that romantic Jane Austin Feel. Even a little bit of Holiday Colors to keep your head warm while you are out singing Christmas Carols. 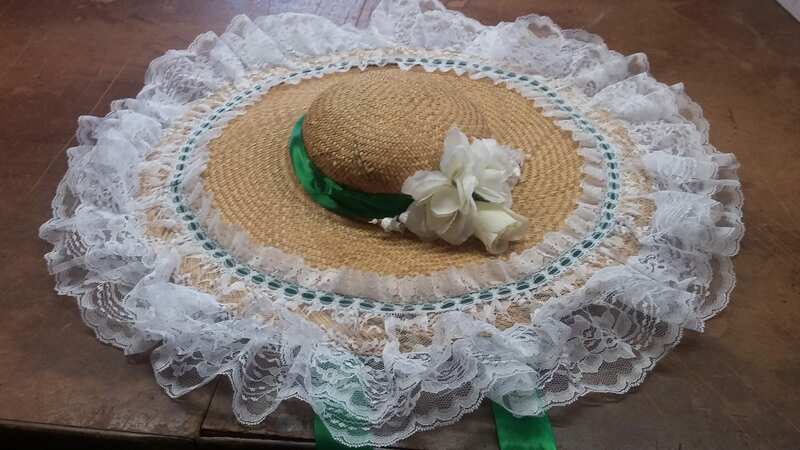 While straw hats may be a bit of a hassle for upkeep, they can be perfect for giving that spring feel you need to complete a costume. Maybe try one of the larger straw hats for a â€˜Jolly Holidayâ€™. Dress like Scarlett Oâ€™Hara ready for a picnic at Twelve Oaks! 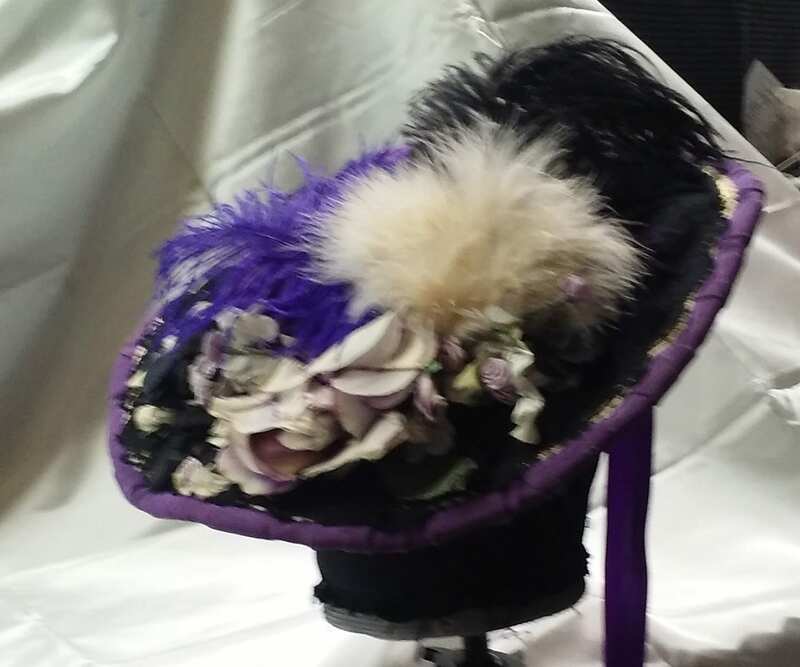 Once the 1900â€™s hit, hats became a embellished centerpiece for a costume. 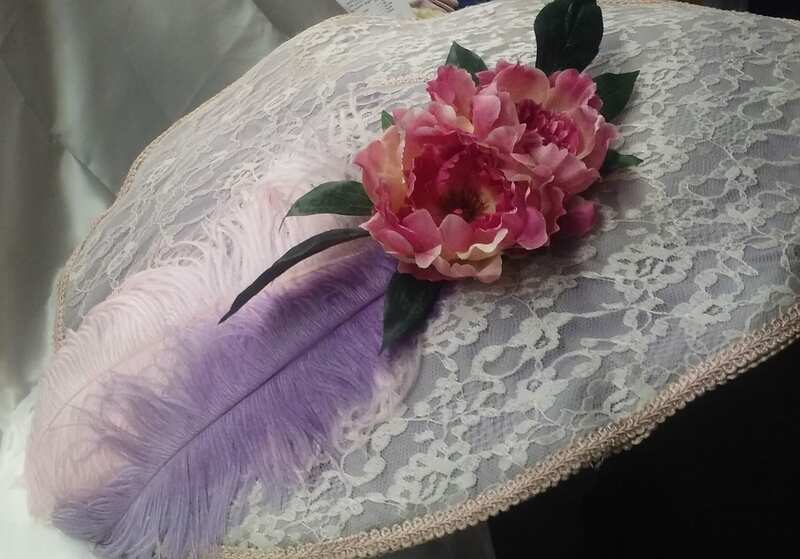 In the early years, big brims with multiple bows, large feathers, and flowers were a must for any outfit to be deemed â€˜completeâ€˜! Get ready to board the Titanic with enough flair to make the Unsinkable Molly Brown proud! ‘Pick-a-Little’ and ‘Talk-a-Little’ in one of these fabulously gossip-appropriate pieces! 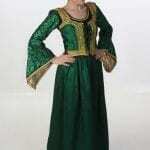 There are hats to fit all occasions, from the medieval and renaissance periods all the way through the modern era. Needless to say we have too many hats within our stores to picture all, but we have plenty for all occasion and any outfit you may choose to rent. Whether for a theatrical production, Halloween, or a themed party, we have the hat for you to be bold and show your flair!